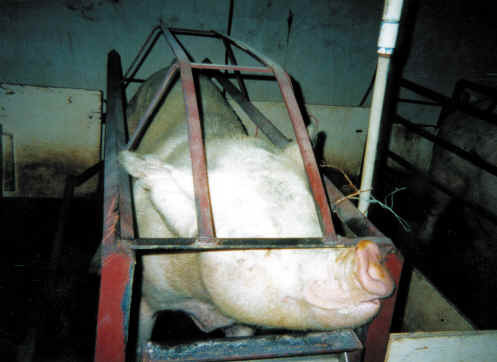 (Pig Exploitation - Factory Farming - 10) Only a human being could devise a torture chamber like this one, where a pig is kept so confined that she can't even scratch herself. It's for reasons like this, that we stopped eating any animals or their by-products. Please do the same as a protest against this cruel industry.